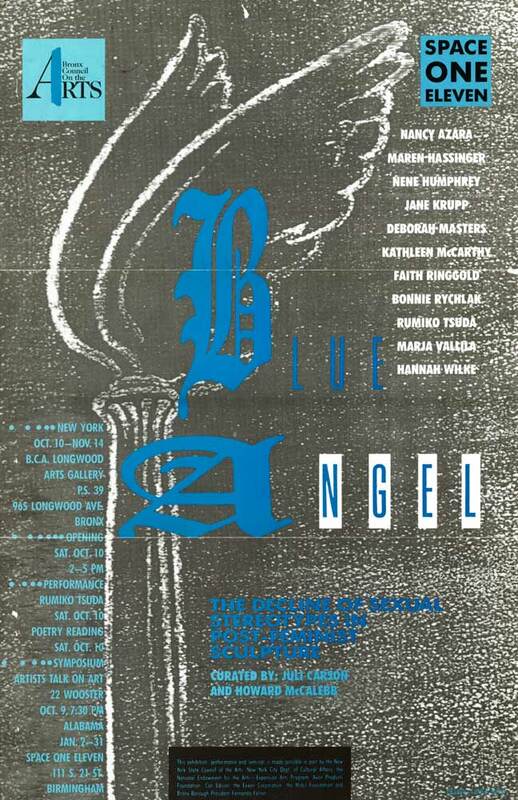 Exhibition poster for "Blue Angel: The Decline of Sexual Stereotypes in Post-Feminist Sculpture" at the Bronx Council of the Arts, Bronx, from Oct 10-Nov 14, 1987, with artists Nancy Azara, Maren Hassinger, Nene Humphrey, Jane Krupp, Deborah Masters, Kathleen McCarthy, Faith Ringgold, Bonnie Rychlak, Rumiko Tsuda, Marja Vallila, and Hannah Wilke. 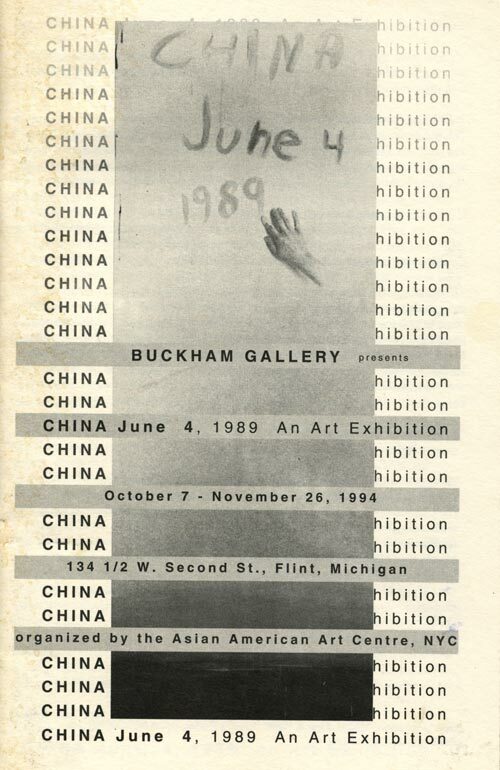 Curated by Juli Carson and Howard McCalebb. 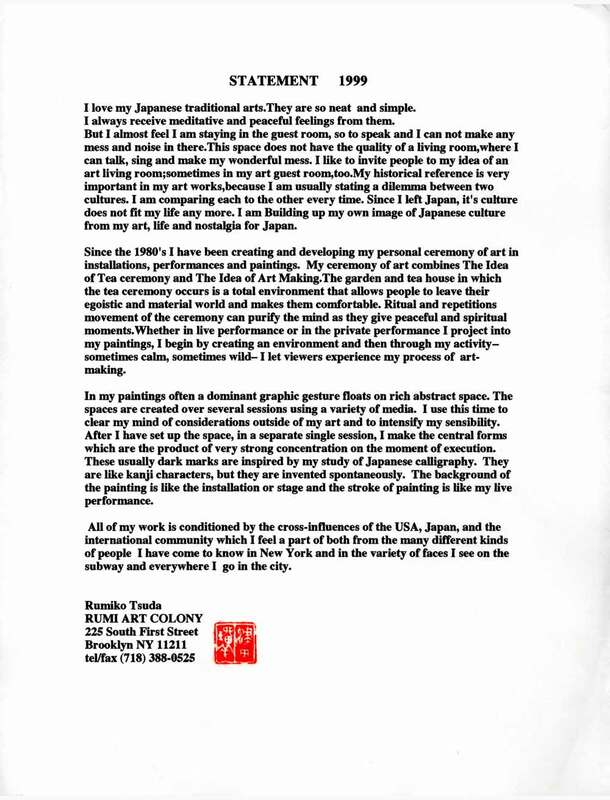 Enclosed drawing with a greeting card from Daniel O. Georges and Rumiko Tsuda to Robert Lee and Eleanor Yung, postmarked Jan 1995. 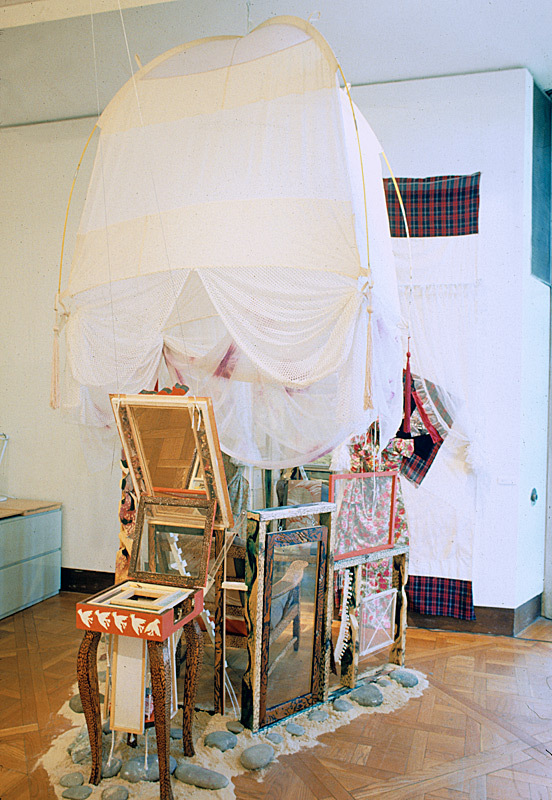 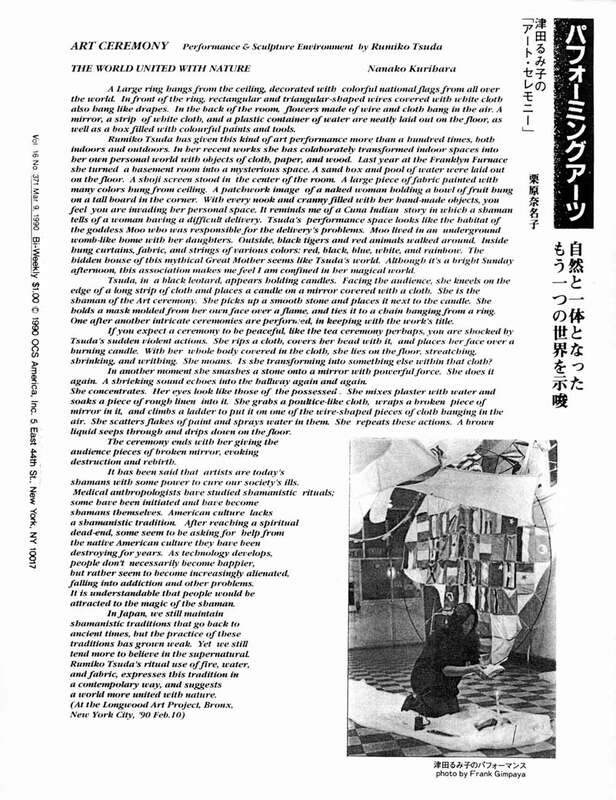 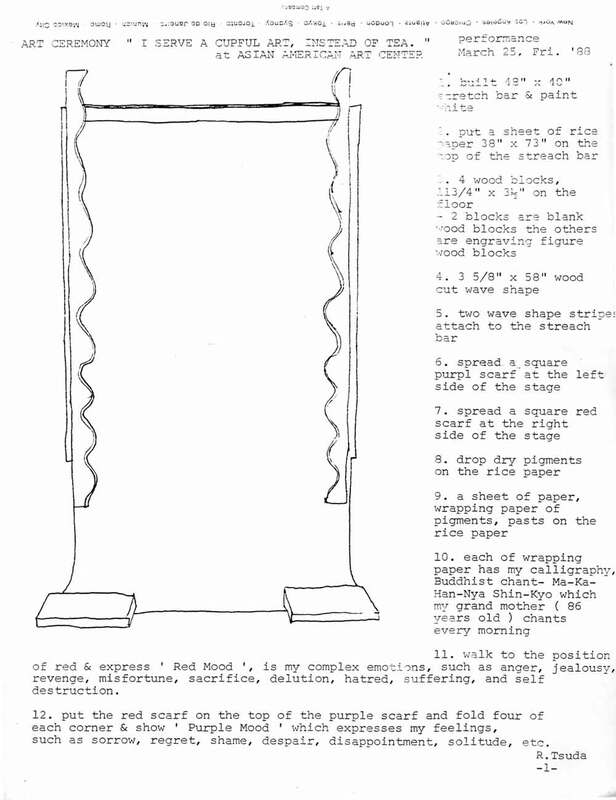 Excerpt from exhibition catalog for "Blue Angel: The Decline of Sexual Stereotypes in Post-Feminist Sculpture" at the Bronx Council of the Arts, Bronx, from Oct 10-Nov 14, 1987, with artists Nancy Azara, Maren Hassinger, Nene Humphrey, Jane Krupp, Deborah Masters, Kathleen McCarthy, Faith Ringgold, Bonnie Rychlak, Rumiko Tsuda, Marja Vallila, and Hannah Wilke. 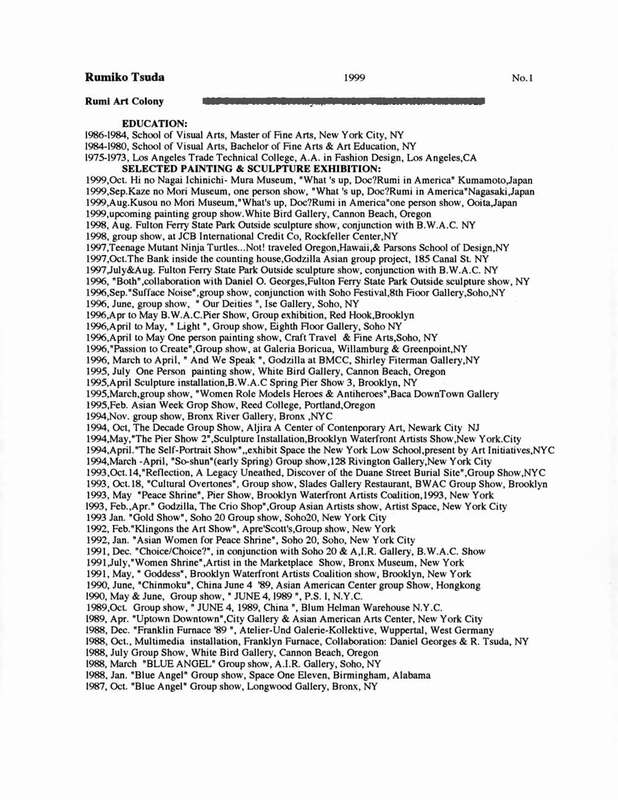 Curated by Juli Carson and Howard McCalebb. 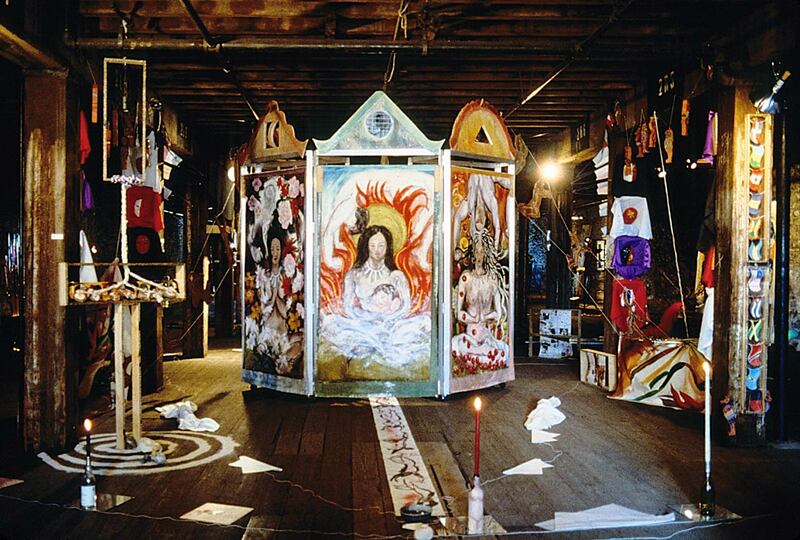 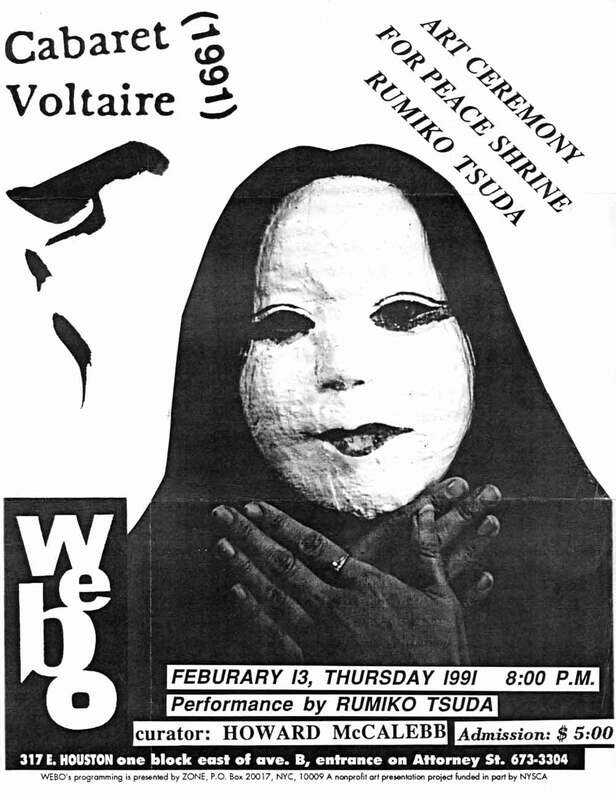 Performance flyer for "Art Ceremony for Peace Shrine" at Webo, New York City, Feb 13, 1991. 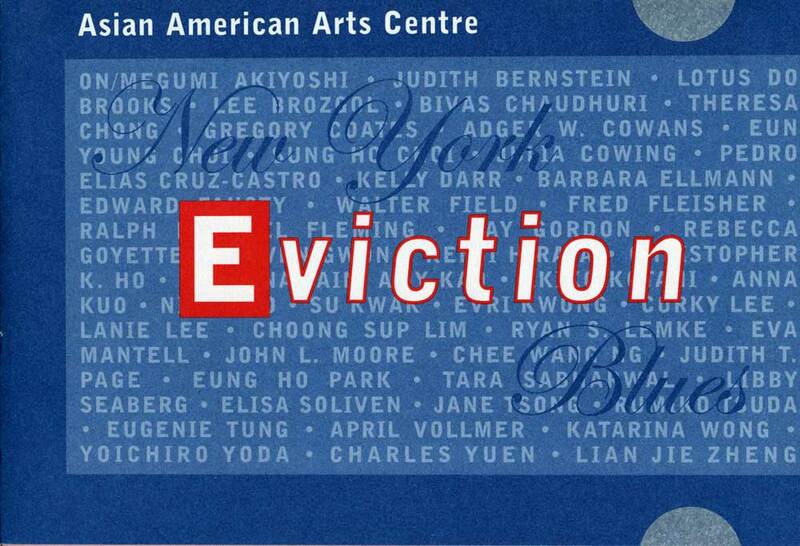 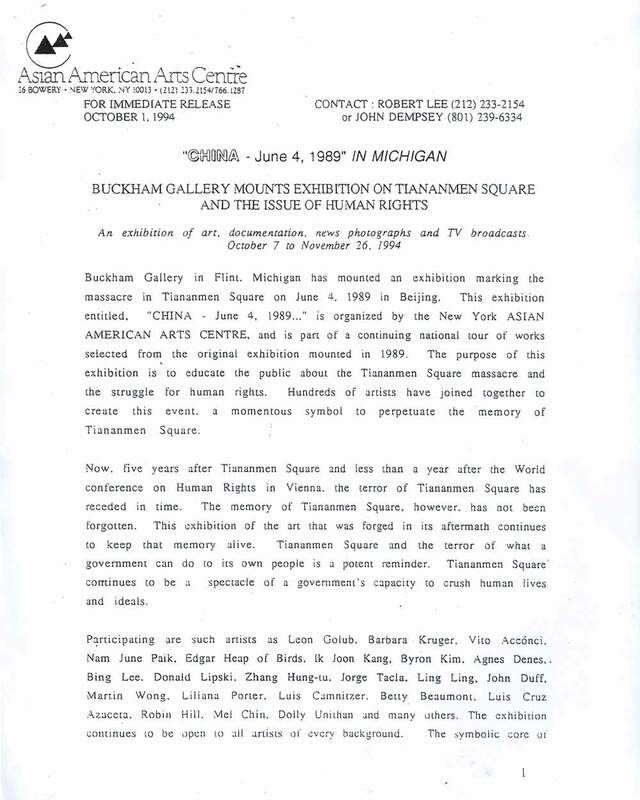 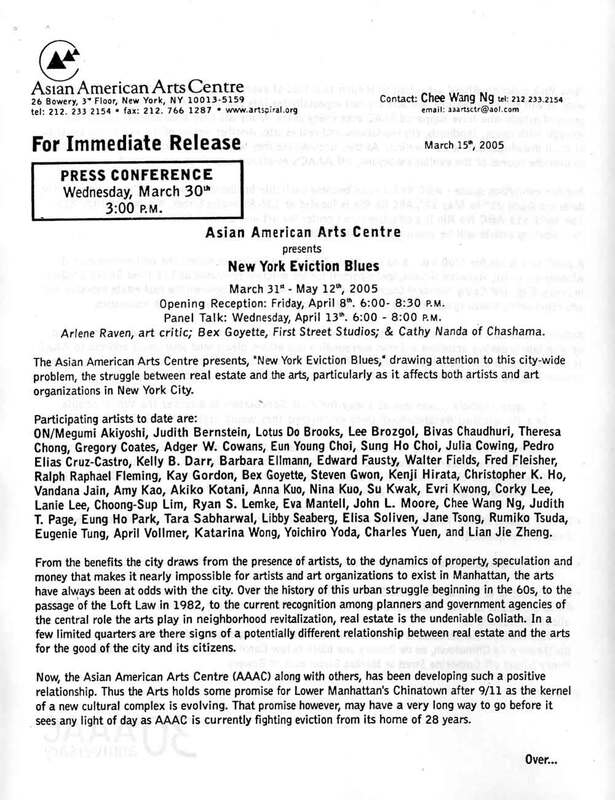 Advertisement clipping for "American Art Performance for Peace Shrine" at Art in General, New York City, on June 22, 1991. 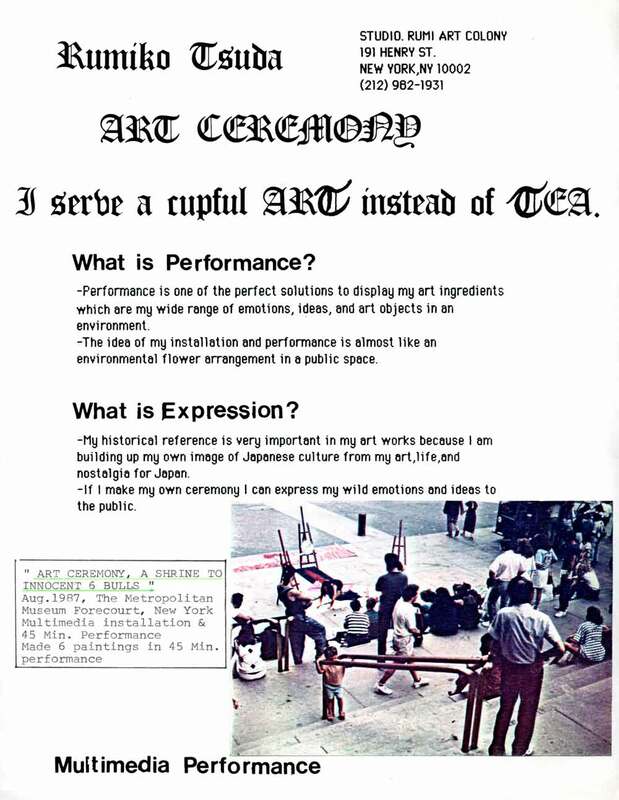 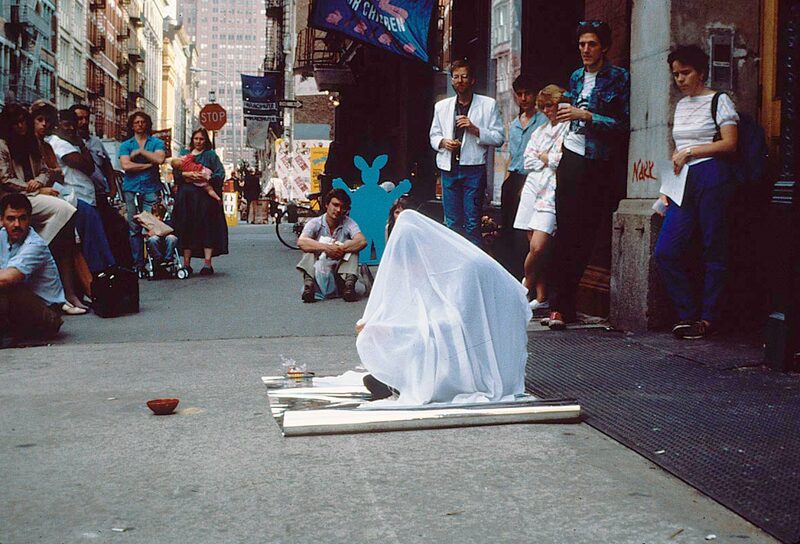 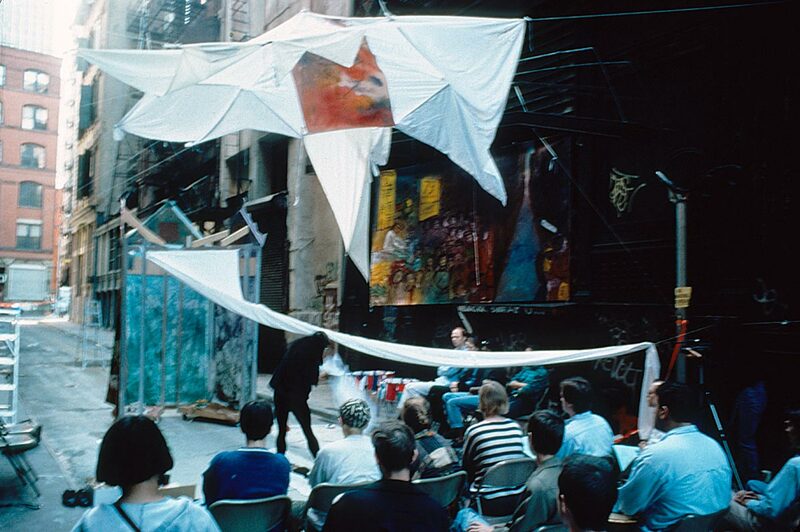 Performance flyer for "Art Ceremony, A Shrine to Innocent 6 Bulls" at The Metropolitan Museum Forecourt, New York City, August 1987.